Just a few moments ago greenpois0n rc6 was released to support the Apple TV 2G. If you have been waiting to untether jailbreak your Apple TV 2G on the iOS4.2.1 firmware, then you will be glad to know Chronic Dev Team have managed to finish off this update for greenpois0n. Along with the support for jailbreaking your Apple TV 2G, this new version of greenpois0n also fixes some compatibility errors with certain Cydia packages. Last week, the long awaited greenpois0n rc5 iOS 4.2.1 untethered jailbreak was finally released by the Chronic Dev Team. A week later, some issues and bugs have surfaced. Though I tried my best to fix all possible issues and errors the users must be facing, but still some bugs have crept in. Even, I have noticed that with the current greenpois0n rc5 jailbreak, my battery life has significantly decreased and Springboard crashes have become frequent. With the release of the greenpois0n rc5 untethered jailbreak of iOS 4.2.1 came the added bonus of greenpois0n rc5 custom animated boot logos. Three new tweaks in Cydia for this option were released. They include iDevice Daily BootLogo, Windows 7 BootLogo and Windows Shattering Apple Boot Logo. I have also been busy making out custom animations for your iOS device. This tweak will allow you to change the boot logo image when you start your iDevice and that during a respring only for iOS Devices jailbroken with greenpois0n rc5. These are instructions on how to jailbreak your iPhone 3GS and iPhone 4 using Greenpois0n for Windows. Greenpois0n supports the iOS 4.1 and iOS 4.2.1 firmware. Use Limerain if you want to jailbreak iOS 4.0, iOS 4.0.1, iOS 4.0.2. Do not update to iOS 4.2.1 if you need the Ultrasn0w unlock. Ultrasn0w does not support that baseband yet. The only exception is the iPhone 4. You can update to iOS 4.2.1 without upgrading your baseband by following this tutorial. As you well know the guys at Chronic Dev Team released yesterday the much awaited untethered jailbreak for iPhone, iPad and iPod Touch, greenpois0n rc5. They also included an option to add a custom animated boot logo. All the excitement surrounding the greenpois0n rc5 jailbreak tool was about that unknown surprise which is the custom animated boot logo. 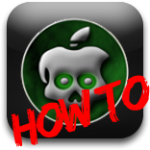 You can check out the tutorial below to activate or deactivate the custom animated boot logo on your iDevice. Yesterday, the Chronic Dev Team released greenpois0n rc5 jailbreak tool to untether jailbreak iOS 4.2.1 on iPhone, iPad and iPod touch running iOS 4.2.1. 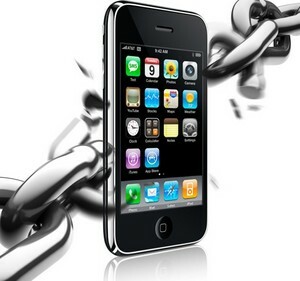 Most of the users are facing many issues and errors while jailbreaking with greenpois0n rc5 and greenpois0n rc5 2. Make sure you have a clean iOS 4.2.1 install before running greenpois0n rc5 jailbreak. Unlockers must stay away from this version ! However, if you want to SIM Unlock, preserve your baseband using TinyUmbrella here. Below are common greenpois0n rc5 errors along with their fixes. Greenpois0n rc5, the untethered jailbreak for iOS 4.2.1 is out now with a serious issue almost all of the jailbreakers, that is no Cydia icon after jailbreaking with greenpois0n rc5. To fix this issue, you will have to install RedSn0w 0.9.6 over the greenpois0n rc5 jailbreak tool. By doing this you will still retain your untethered jailbreak, while gaining the necessary Cydia icon. Make sure you download the latest version of greenpois0n rc5 2 here. Check inside for the full video guide. Greenpois0n RC5_2 has been released that fixes the “stuck at gp init” issue and many other problems that the whole jailbreak community is right now facing while jailbreaking iOS 4.2.1 untethered on their iDevices. Make sure your iDevice is running iOS 4.2.1. Unlockers must stay away from this version ! However, if you want to SIM Unlock, preserve your baseband using TinyUmbrella. All download links for greenpois0n rc5_2 are given below. TinyUmbrella lets you update iPhone 4 to iOS 4.2.1 while preserving its baseband version 01.59.00 which can be unlocked using Ultrasn0w. Below is a guide on how to update iPhone 4 to iOS 4.2.1 firmware while preserving baseband 01.59.00 using TinyUmbrella. Updating iPhone 4 to iOS 4.2.1 also updates your baseband to 03.10.01 which is currently NOT unlockable with Ultrasn0w. 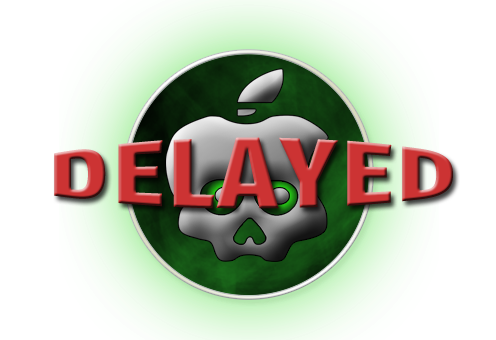 Just about an hour ago greenpois0n RC5 was released, and with this release comes a fully untethered iOS4.2.1 jailbreak. This iOS 4.2.1 untethered jailbreak is stable, does not require the iOS 4.2 Beta 3 SHSH blobs, and ONLY works with the Mac OSX operating system. For Windows, support will be coming soon, so don’t worry. Read the tutorial below to untether jailbreak your iDevice running iOS 4.2.1 with greenpois0n RC5 jailbreak tool. A multitude of jailbreak tools are available to jailbreak your iPod Touch, iPhone, iPad and Apple TV. This includes Redsn0w 0.9.6, PwnageTool 4.1, sn0wbreeze 2.1, greenpois0n RC4 and limera1n. Below the jailbreak tools are ranked according to their popularity levels. and iPod Touch 3G on iOS 4.1 and iOS 3.2.2 for iPad using Greenpois0n ( download link at the end ). Check out the tutorial after the jump. Chronic Dev Team has just released Greenpois0n to jailbreak iOS 4.1 for iPhone 4, iPhone 3GS, iPod Touch 4G, iPod Touch 3G and iOS 3.2.2 for iPad. Chronic Dev team delayed the release of Greenpois0n as they have used the same USB bootrom exploit used in Limerain instead of using SHAtter exploit to preserve it for the future. Geohot's Limerain was released on Sunday creating a stir in the whole jailbreak community. It uses a different exploit from Chronic Dev-Team's SHAtter, releasing Greenpois0n today would have burned those 2 exploits away to Apple to patch in an update. The Chronic Dev-Team have postponed the release of Greenpois0n in order to include the new exploit found by Geohot.